The 2006 season has been packed with action but only one car has lapped at Le Mans, towed both an LMP1 Courage and a classic Alfa Romeo prototype and been ‘stolen’ by an ex-Grand Prix driver! 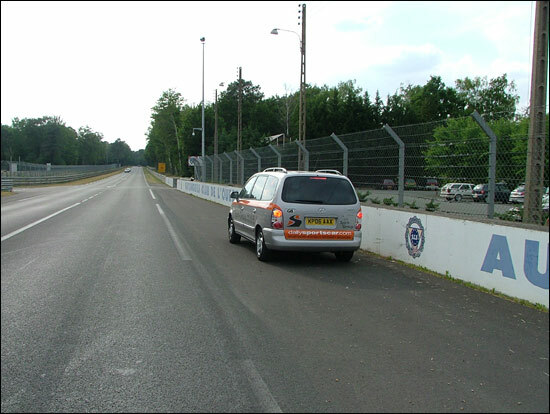 It would be a year which would see an enhanced dsc presence at the Le Mans Series races (and the Spa 24 Hours too), and despite its obvious talents, the 2005 Kia Sportage simply wouldn’t provide the space required for the regular five man dsc ‘away team’. That would have been an ‘ask’ that would have stumped Aston Martin, Ferrari, Lamborghini et al, useless the lot of ‘em! Luckily though Hyundai’s Trajet could have been designed with the dsc brief in mind, and Dave Lord was once again the lucky custodian of our battle bus. 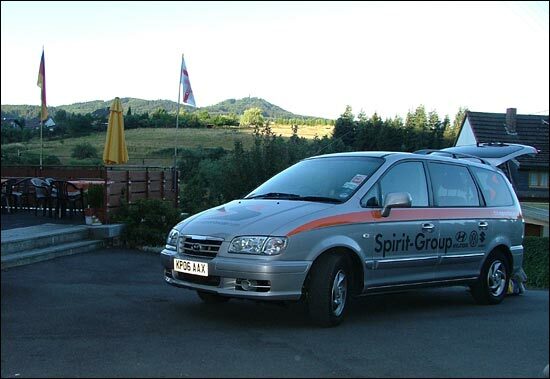 Again thanks to the generosity of Spirit Hyundai we were well equipped for the punishing European season as Lordy took delivery of a shiny, silver, 2 litre diesel-powered example with just six delivery miles on its soon to be rather more busy odometer. The Trajet was soon ‘stickered up’ and immediately attracted much interest around the paddock car parks. It’s a large vehicle and performed a fine job as a mobile billboard for dsc and Spirit Hyundai. Its first stop was at Silverstone’s Tourist Trophy where the car was left parked by the Spirit motorhome where customers past (and hopefully future) passed favourable comment on the handsome MPV. 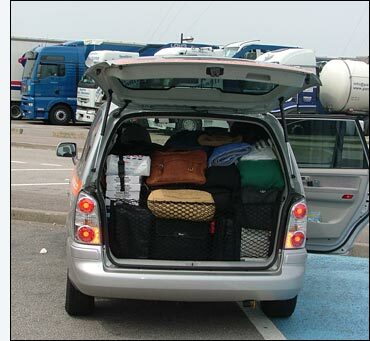 A full seven seater the Trajet was more often to find the rear pair of full size seats stowed at Chateau Lord, as the rear of the van-sized cabin was asked to swallow up camera gear, laptop cases galore, cabling, cool boxes, holdalls, and all the other bits and pieces that count as “required on voyage” for a racing weekend. 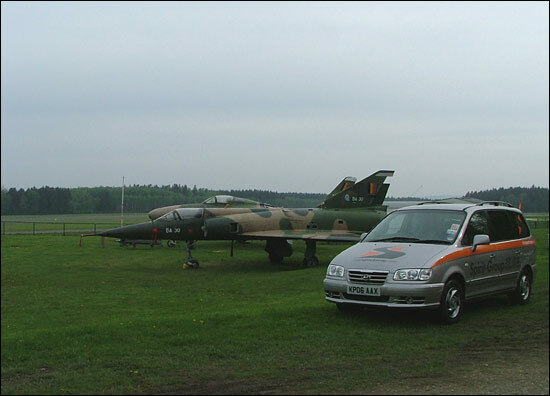 First overseas adventure for the Trajet was just a week after its Silverstone debut, for the Spa round of the Le Mans Series. All in all the Trajet would make five trips “sur le continent” during the season, with a double bill of Le Mans trips matched by trips to both the Le Mans Series and FIA GT dates at Spa, with the Le Mans Series at the Nurburgring also requiring a Trajet-full of dsc-ers. 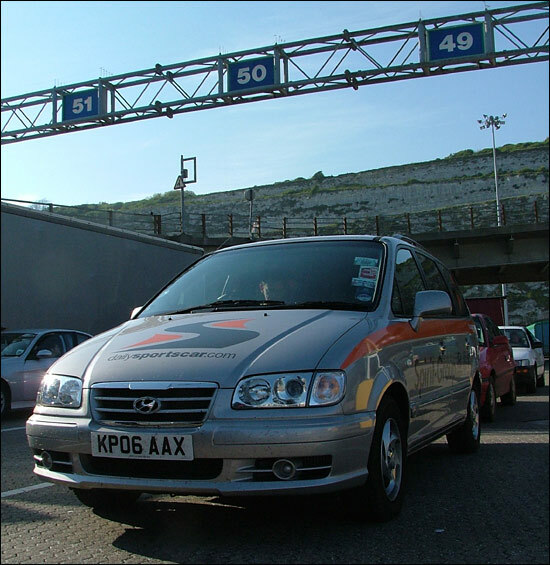 Each of them was done via Norfolk Lines’ excellent Dover – Dunkirk service where the high roofed Hyundai was well accommodated aboard one of the trio of brand new ferries on the route, all built by Samsung, another huge Korean conglomerate. 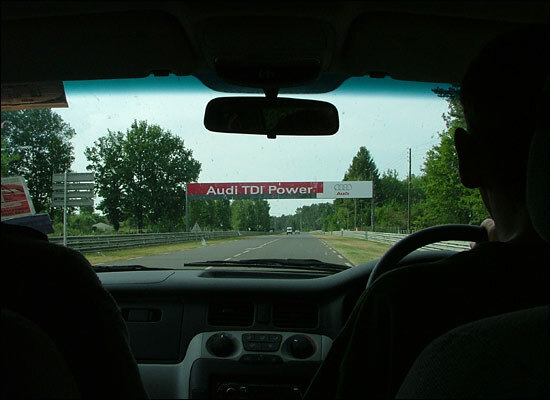 The combination of plenty of diesel oomph, plenty of space, great economy (and therefore fewer unnecessary stops) and the usual good company eased the pain of the often rather dull autoroute / autobahn trudges. One of the highlights of the year was the introduction of a new road trip game – Pub cricket is long dead and useless in Belgium! – So the 2006 replacement was…………..Name a racing driver with a fish in his name! There are a surprising number – if you stretch the point! Step forward Scuderia Ecosse pair Tim Mullett and Andrew Kircoddy, Tom Kipper-Smith, the rather less convincing Allan McFish, Gregor Fishcake and Pike Newton and the absolutely cringeworthy Jean-Marc Goujon! (Dave Lord hang your head in shame for that one –more of Jean-Marc and Gregor later). Top marks though for our favourite, delivered with perfect timing and a deadpan demeanour by the dsc ed at close to midnight on the dullest motorway in Belgium after a good ten minutes of total silence – Elio de Angelfish!! 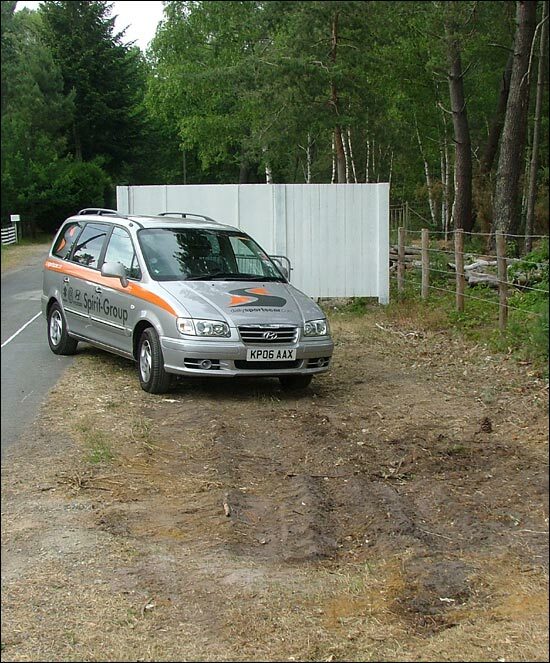 The Hyundai though ploughed on, never missed a beat and she served us beautifully as living room (complete with in-car DVD system) bedroom (complete with a variety of snoring scribes and snappers!) and dining room (Pringles, Haribo and other things we aren’t allowed at home the order of the day!). On the way back to dsc’s Spa lodgings there was a glimpse of something interesting at the local airfield, just up the road from the beautiful town of Spa. The following morning, after a brief stop in the city to pick up provisions, we dropped by Spa-La Sauvenière airfield to have a closer look and were delighted to find a pair of classic ex-Belgian Air Force aircraft - an F84 Thunderflash and a Mirage 5, both substantially faster than the Hyundai, but neither with nearly as much space in the glovebox for gummy sweets. Le Mans was next on the agenda with a pair of trips separated by just a week: the Trajet all but knew its own way back to the site of the great race second time around. After a lightly loaded first trip to the test weekend, it was packed to the doors for the race week itself, not a problem for the plucky diesel though and there was even time for Team dsc to take the Trajet around part of the circuit, including a quick check to ensure that the tree that had destroyed the T2M Porsche last year had been removed (it had!). The Hyundai performed magnificently all week and swallowed a simply enormous amount of gear. There was even room in the boot for Adam Proctor, dsc’s roving pit reporter this year at Le Mans, who had come down by motorbike – Lordy realising too late that he’d configured the Trajet with four seats for the long trip to help accommodate not only our gear but large consignments of ‘hero cards’ for three teams. Adam is a fine fellow and was entirely unfazed at what amounted to an impromptu road test of the Trajet from a domestic pet’s point of view. He reported that it was a comfortable ride and was rewarded with a juicy bone for his trouble! The Hyundai’s continental adventures for the year ended relatively early with quick fire excursions to the Nurburgring and Spa (again) in July. The drive to the ‘Ring is a notoriously a long haul but the Trajet soaked it up remarkably well, pulling in to our excellent B&B with the chaps ready for a beer and bed, delighted to find that the Chad Racing crew were sharing the same lodgings. Iain Dockerill’s brand new Bentley though rather dragged down the tone, looking (we thought) a bit down market alongside the classy Hyundai! A bright sunny morning gave us a chance to capture a quick snap of the car with the evocative backdrop of the Nurburg Castle in the background, before loading up and making for the circuit. The tight timetable (and the distinct possibility of Spirit Hyundai coming after us with a cricket bat) prevented us from sampling the Trajet around the Nordschliefe but we’re absolutely certain that Michael Verger’s road car record would have fallen easily!! 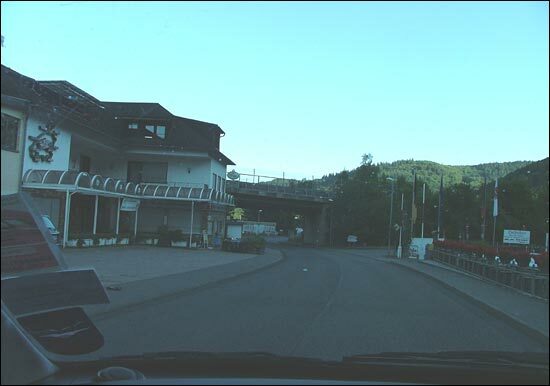 There was time however to take in some of the circuit from the outside in this beautiful part of Germany, Adenauer Bridge just one of the famous locations that seem to loom out of the scenery at every turn in these parts. The trip back home added a fifth country under the wheels of the Hyundai, Holland joining the UK, France, Belgium and Germany on the tick list for the Trajet’s short life. The final continental junket was far from the end of the mileage required for the car. There are seemingly countless occasions where dsc is either required to, or choose to, attend races, test sessions, interviews and photocalls in the UK and the Hyundai was the workhorse that made much of this possible in 2006. It’s final ‘glamour’ event of the season was the 1000km Le Mans Series race at Donington Park and here it ticked off three of the four ‘happenings’ listed in the first paragraph of the story - the Trajet operating as a tow car for both a factory Courage LC70 and a beautiful ex-Vic Elford / Helmut Marko 1972 Alfa T33. Whilst Lordy was setting up an Autosport photoshoot though, the Trajet was purloined by a watching Jean-Marc Goujon, sorry Gounon, together with his #12 Courage team mates Alexander Frei and Gregor (I know a class bit of motoring kit when I see it) Fisken. Jean- Marc completed three laps aboard the Hyundai, pointing out his turning in points to his fellow LC70 pilots before pitting, complaining of chronic understeer and insisting on a change to a softer compound (only kidding Jean-Marc!). 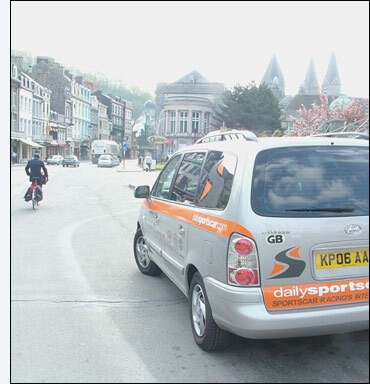 It does however mean of course that 1 – The Trajet now has Formula One provenance (Gregor take note!) 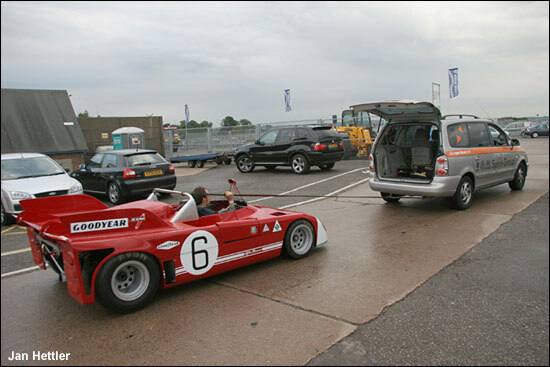 and 2 – Jean-Marc managed to complete more laps in a diesel powered Trajet than the similarly fuelled Trident Iceni has managed in two years! All in all the Trajet has served dsc faultlessly throughout a very hectic season, and completed all it was asked to do with excellent economy and surprising pace. Most significantly of all though it has made a convert of its custodian, at first unconvinced of the choice of a people carrier, Spirit Hyundai will have to prise the keys of the Trajet from Lordy’s cold dead hands now!